I am pleased to report that today is officially ‘National Rum Day’, which just so happens to be my favorite genre of alcohol! Who knew?! 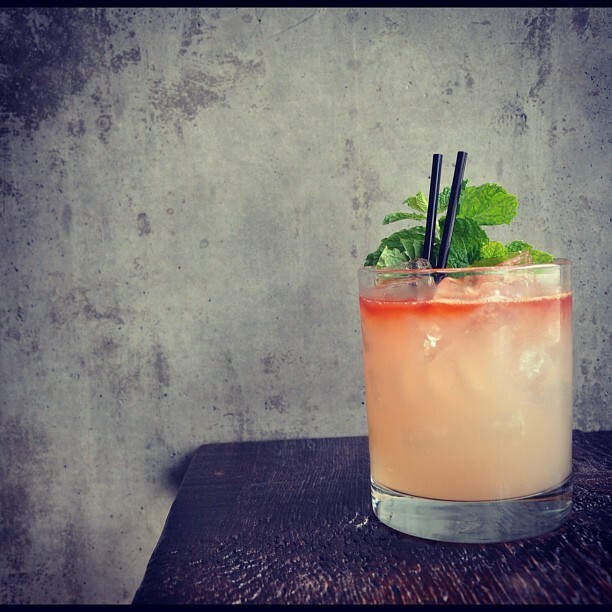 The above recipe is a wonderfully refreshing and summery concoction created by Greg Bryson and currently available for your tasting pleasure on the summer menu at Hostaria Del Piccolo in Santa Monica. If you don’t live within reach of Hostaria then I highly suggest buying the ingredients and making this drink at home. I personally prefer Matusalem Rum in this drink, and that’s what they use at Hostaria. It is a tropical, sweet and really easy to make tiki style drink. Have a Happy Rum Day Everyone!! !